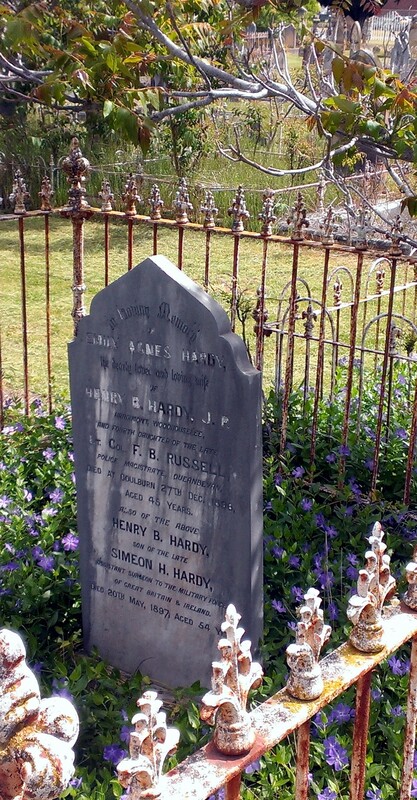 F. B. RUSSELL – Grave of Emily Agnes HARDY – 4th daughter of the Late Lt. Col. F. B. Russell. 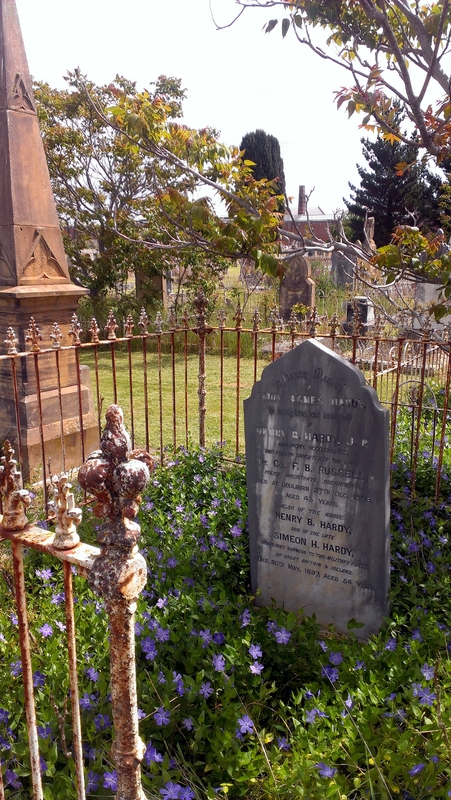 Emily is buried at St. Saviour’s Cemetery, Cemetery Rd, Goulburn, Opposite the Goulburn Gaol. 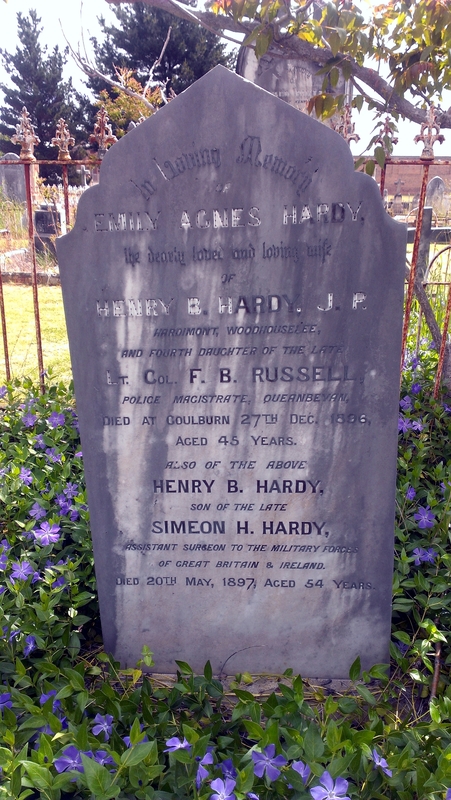 F. B. RUSSELL – Grave of Emily Agnes HARDY – 4th daughter of the Late Lt. Col. F. B. Russell. 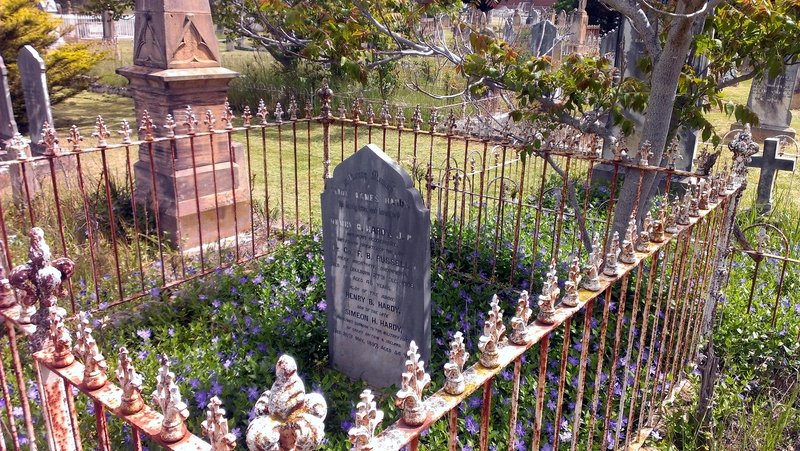 Thank you for the photo of the gravestone of Emily Agnes Hardy, fourth daughter of Lt-Col Frederick Browne Russell (1809-1883), Police Magistrate Wentworth (1864-1869) and Queanbeyan (1869-1883). As a junior officer in the 28th of Foot, he served in Australia 1836-1842 and during that period commanded a unit of Military Mounted Police, including in the Goulburn area. He is buried in the CofE section of Manly Cemetery (plot B321). I'm told there is a gravestone, but have not had the opportunity to verify that for myself. I am interested in all aspects of him and his family. I'd be grateful for any information you have, and any relevant photos, including photos of memorabilia. If you are interested in what I have gathered, I'd be happy to share it.